Article by Rebecca Whitney ©. When I began work on my novel, The Liar’s Chair, my intention was to write a lead character who was complex and challenging, to explore a protagonist who felt real and three dimensional, and was therefore inevitably flawed. Likeable was not at the top of my list of criteria, but neither were predictable or invulnerable. The result is Rachel Teller, a difficult woman who finds it hard to connect, and as the book opens her life is already in free-fall, but neither she nor the reader knows why. During Theakstons Old Peculier Crime Writing Festival (live tweeted by @writing_ie, check #topcrime2015) Belinda Bauer made that point that if you start your book with an abortion in the first chapter you could lose your reader. Chapter one of The Liar’s Chair opens with Rachel Teller still over the limit from the night before, driving so fast that she knocks over and kills a homeless man on a country lane. Instead of calling the emergency services, she hides the body, and afterwards attempts to return to her seemingly perfect life as if nothing has happened. Herein is Bauer’s stated heinous incident, plus a woman who’s internal world is warped and questionable. My challenge in writing a character who invoked little initial sympathy was to keep the reader engaged enough through these first chapters to keep turning the pages. So while Rachel may not be someone you’d want as your best friend, her voice is strong and opinionated, and through the use of first person present-tense narration, we get a direct wire in to her singular and unhinged take on the world, prompting us ask, ‘What would I do if confronted with this same situation?’ She propels the plot forward with her destructive decisions, setting herself hurdles she has no choice but to cross. If nothing else, she is compelling to watch. As a writer, digging below the surface to investigate what motivates people to do the things they do, especially bad things, fascinates me. The news is filled with horrifying crimes, and I am perplexed as to how and why one person could carry out such cruelty against another. Every criminal has a back story, a sequence of life events that led up to the crime, and while I don’t condone their actions, I do have a desire to understand the reasons which cause some people to resort to such extreme behaviour. A psychotic may believe voices tell them to commit an offence, a psychopath will have little empathy with their victim, and someone who unleashes violence in a flash of anger could perhaps have a history of being forced into flight or flight mode. But what of the career criminal or, as depicted in my book, the everyday person who makes a one off mistake and ends up on the wrong side of the law? What convinced Rachel to act out of character, in a manner that is morally repugnant, and to walk away from the scene of the crime? By exploring these issues, and by drawing a character who I wanted to be authentic and consistent, I discovered what Rachel feels is full justification for the course of action she follows. She is aware that committing a hit and run is illegal, but if she doesn’t cover her tracks, her own safety would be under threat. It is self-preservation, and self-interest, insights which make her actions no more attractive, but do shed some light on how her greater desire is damage limitation; she didn’t set out to be bad. Through her personal brand of rationale, she convinces herself she has little alternative, though she is not without awareness in to the gravity of the crime. The guilt she suffers forces her to seek justice on her own terms, setting her on a path of self-destruction as she attempts to atone for the death of the man. The Liar’s Chair opens with the perpetrator of the crime already revealed, and it is this initial tragic incident which sets in motion the sequence of events which propel Rachel towards further danger. From here, the book in part explores the reasons why Rachel lives her life on the edge, and how her past has turned her into this seemingly callous person. With each twist in the plot, more of Rachel’s character and backstory are revealed, and the woman we initially judged her to be, turns out to be someone who suffers at the hands of an abusive husband, and who spent a childhood locked in a poisonous relationship with her mother. Although we may not agree with her behaviour, through these events we move towards greater understanding of what has led her to become the damaged and damaging individual she is. Over the course of the book, what may have begun as our judgement can turn towards compassion. It is an extreme example, but in this way I hoped to shine a light on the opinions we often make when we meet an individual for the first time, criticisms we can continue to hold even after we believe we know this person well. Everyone is flawed, we all have secrets, and no one ever truly knows another. Fiction can explore this duality; protagonists can have a bad side and antagonists can have good points, and to wholly realise a character they need to own many conflicting but plausible traits. By slowly revealing the backstory behind Rachel’s flawed behaviour, my intention was not to excuse the crime, but to create a character who we understand and for whom we have some sympathy. Someone who could exist in real life. Does that make her likeable? I like her very much, but I’ll leave you to decide for yourselves. 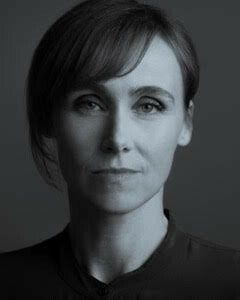 Rebecca Whitney’s debut novel, The Liar’s Chair, was released in January 2015. She has a two-book deal with Mantle/Pan Macmillan, and is currently working on her second psychological thriller. Rebecca also writes features, has taught on the Creative Writing Programme in Brighton, as well as for Guardian Masterclasses. She has had work shortlisted for both the Bridport and Fish short story competitions. 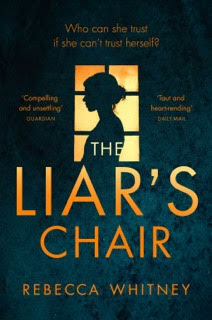 The Liar’s Chair, is published in paperback on27 August 2015, Pan Macmillan, £7.99 PB. For more information go to rebeccawhitney.co.uk.